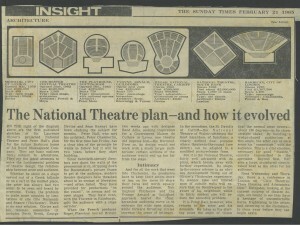 CFT’s connection to the National features several times throughout the exhibition and is also referenced in the accompanying publication Concrete Reality: Denys Lasdun and the National Theatre. 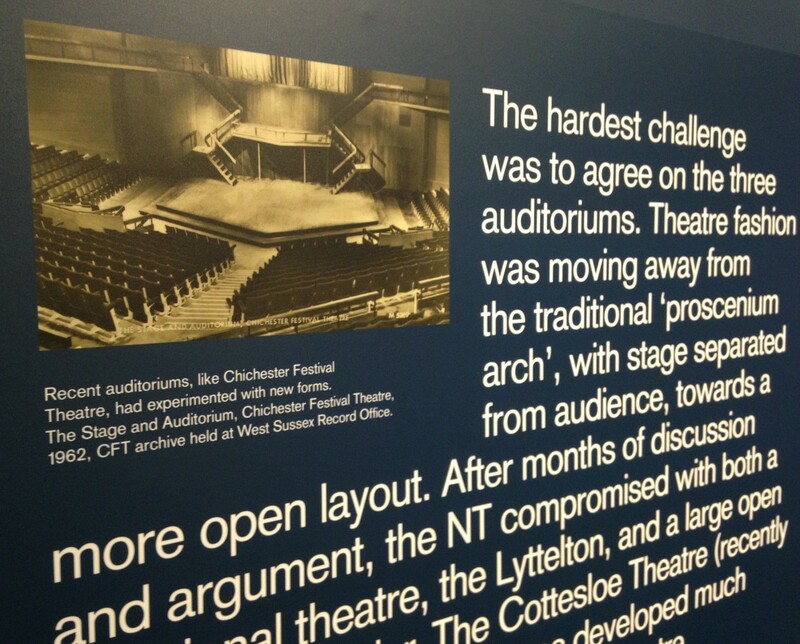 In both instances, the images and information used are credited to the CFT archive; what a huge sense of satisfaction after all our hard work! 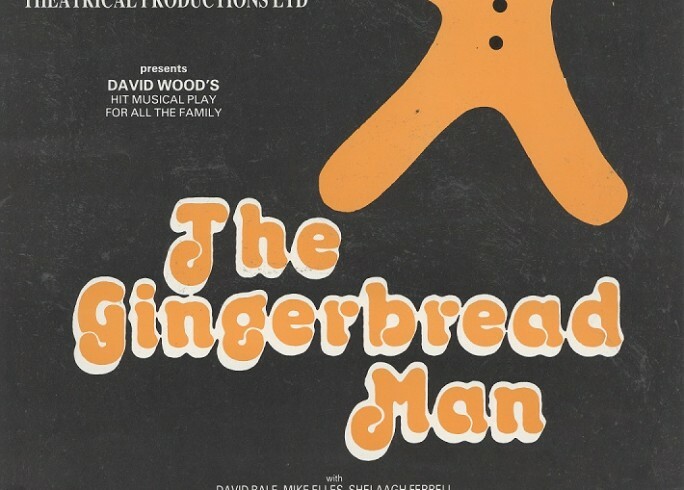 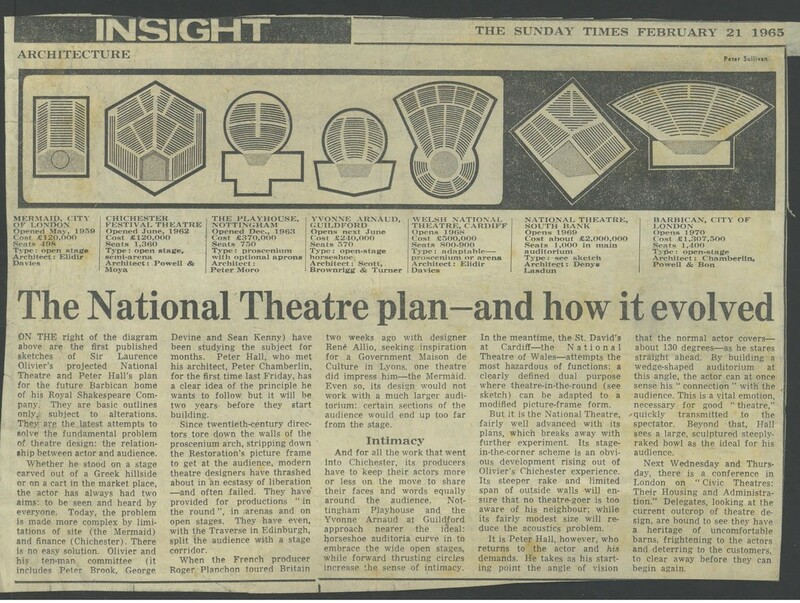 It’s now becoming clearer to see the ways in which the CFT archive (and its digital counterpart) forms part of a wider connection within the theatre world and simply how important it has been to secure CFT’s heritage and share it with others. 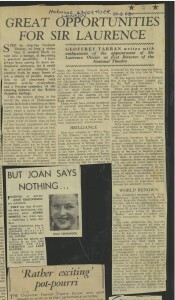 Of course, this wouldn’t be possible without the work of our archiving and digitisation volunteers. 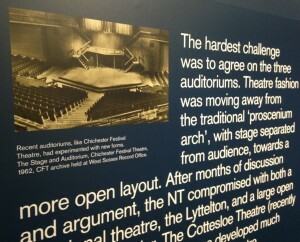 CFT’s link to the National Theatre has been recorded in lots of different ways – we’ve been able to research this further through the use of programmes, casting schedules, press cuttings and more (see picture 3);from 1963-1965 productions were performed simultaneously at Chichester Festival Theatre and at The Old Vic, which was the original, temporary home for the National Theatre company. The actors often dashed between locations to perform in a matinee in Chichester and an evening show in London. Most notable productions to be included in this sharing of shows were The Royal Hunt of the Sun (1964), Othello (1965) and Miss Julie & Black Comedy (1965), which starred Maggie Smith and Albert Finney. 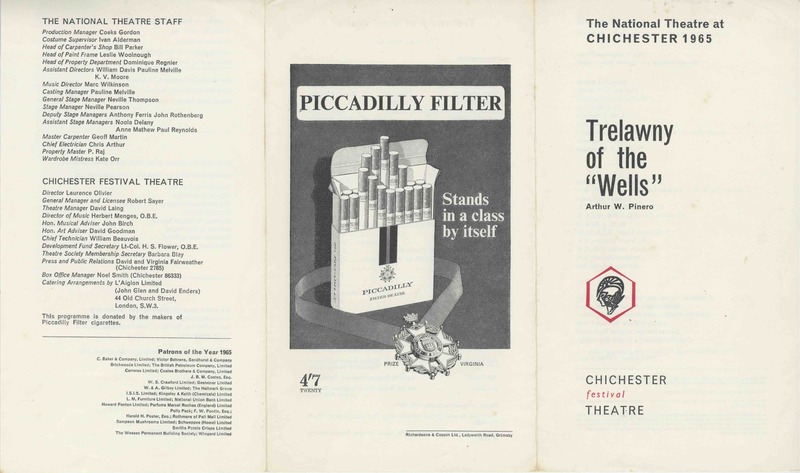 The story of the building of the National Theatre is very well documented in the aforementioned publication accompanying the exhibition and in Daniel Rosenthal’s The National Theatre Story.